Situated in the central Yukon, Mayo lies in the traditional heartland of the Nacho Ny’a’k Dun peoples’ territory. The town is home to about 450 people. 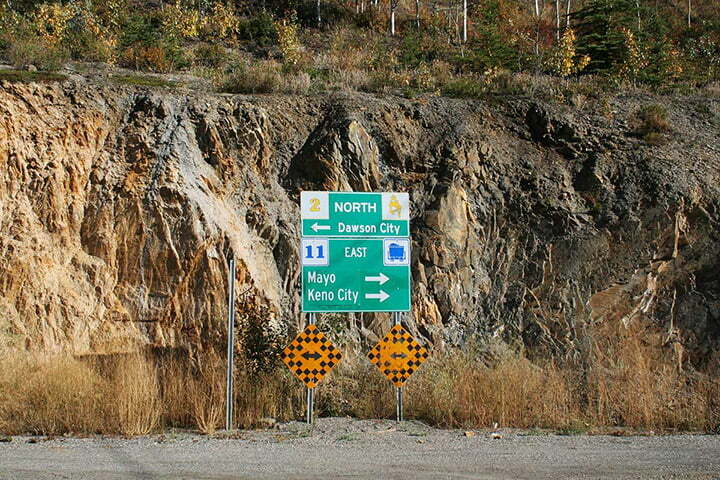 Mayo is situated at the 53-kilometre point of the Silver Trail highway, which extends through what was once one of the richest silver mining regions in Canada. The first mining undertaken here, however, was for gold, discovered at the mouth of the Mayo River in 1902. Silver was discovered at Keno in 1919 and then at Elsa in 1929. Many years earlier, the first prospector to enter the region was New Brunswick native Alexander McDonald. In 1887, he came across a large lake and named it Mayo after his friend, Captain Alfred S. Mayo. The captain owned a small steamboat christened New Racket, probably reflecting his career change from circus acrobat to steamboat owner. Mayo would later become a founding member of the Yukon Order of Pioneers. Although Mayo is today connected to the rest of the territory by a paved road that was first constructed in the 1950s, the only previous link to the rich silver mining operations was provided by steamboat. The ships arrived on the Stewart River laden with supplies and left more heavily laden with sacks of ore. About eight kilometres beyond Mayo the pavement ends and the rest of the road to Keno and Elsa is gravel. Mayo is a popular recreation area that offers good swimming and boating in nearby lakes and hiking in the surrounding wilderness. It is the main service area for all travellers venturing up the Silver Trail. The Village of Mayo operates the Binet House Interpretive Centre, which houses a collection of historic photos, an extensive geology display that includes sections on permafrost, bedrock geology, rock deformation, glacial history, and hard rock and placer mining. It is the gateway for backcountry wilderness trips into the famous Peel Watershed, and an access point to scenic Keno City and the mining town of Elsa.